This effect – a so-called "negative feedback" where climate change causes effects which slow further climate change – will increase over the coming decades but will decline after 2100 if warming continues, according to an international team of 70 scientists, led by the University of Exeter. Peatlands are a vital "carbon sink", currently storing more carbon than all the world's vegetation, and the research showed they will store even more carbon in the future than was previously believed. In environments such as forests, carbon from dead plants decomposes and is released back into the atmosphere. But in peatlands, water slows this process and locks in carbon. Most peatlands are in cold climates in places such as Siberia and Canada, and here warmer temperatures will lengthen the growing season for plants – meaning more plant matter falling into peat bogs. But this initial increase in carbon storage – estimated to be about 5% – will be offset by reduced storage in tropical peatlands in places like Borneo and the Amazon region. "Plants living in cold-climate peatlands have it tough for most of the year, but rising global temperatures will give them a longer growing season," said lead author Dr Angela Gallego-Sala, of the University of Exeter. "Decomposition in peatlands will speed up as the climate warms – meaning more carbon and methane released – but the overall effect in these high-latitude regions will be increased storage of carbon. "However, as warming continues, tropical peatlands will store less carbon because decomposition will speed up but higher temperatures in these already warm regions will not boost plant growth." The researchers looked at a range of estimates for future warming – from an average warming of between 1°C and 3.7°C by 2100. Modelled future projections under all scenarios suggest that the present-day global sink in peatlands will increase slightly until about 2100 but will decline thereafter. In both cases decomposition in the tropics will overturn the gains in the higher latitudes (nearer the poles) due to lengthening of the growing season. "We have detailed models to predict future climate change, but the models don't yet account for all of the effects of the biosphere (living things) on climate," joint lead author Prof Dan Charman, also from the University of Exeter, added. "The biosphere will either slow or accelerate climate change in various ways. Our results show that peatlands are an ecosystem that could help slow future climate change, as long as we protect them from further damage." Professor Sue Page, Professor of Physical Geography from the University of Leicester's School of Geography, Geology and the Environment, said: "Our work highlights the fact that peatlands store huge amounts of carbon and can play a vital role in global efforts to control climate change. 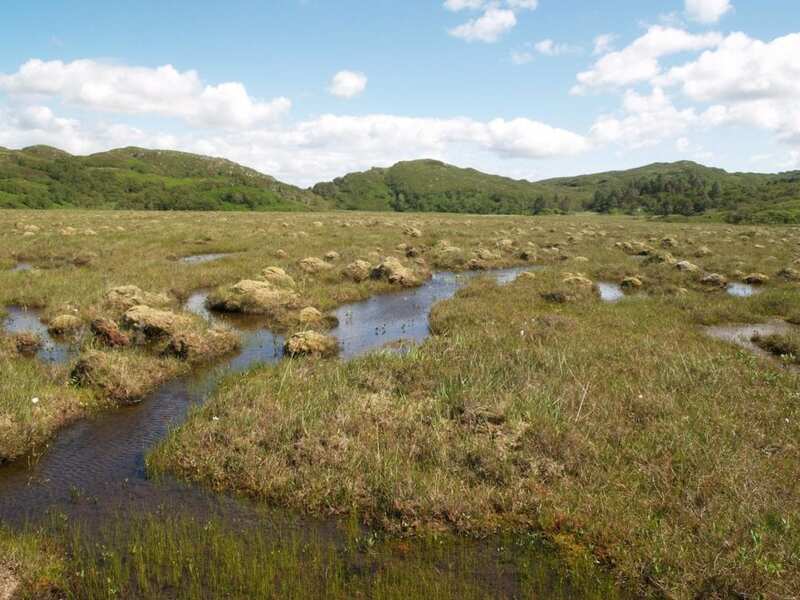 "The study also highlights the vital importance of protecting intact peatlands and restoring drained peatlands, particularly in the tropics where the effects of future global warming are likely to lead to more rapid rates of peat decomposition. "Peatland restoration efforts, such as rewetting drained and degraded peatlands, can restore the waterlogged conditions needed to prevent the release of peat carbon. "These efforts need to be intensified if we are to avoid accelerating peatland CO2 emissions into the future." The research team, which also included the University of Leicester and Imperial College London, used a new global data set of peatland carbon accumulation rates over the last millennium. The paper, published in the journal Nature Climate Change, is entitled: "Latitudinal limits to the predicted increase of the peatland carbon sink with warming."